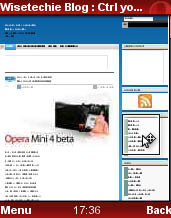 The page is rendered to fit in the screen and most background images arent loaded. 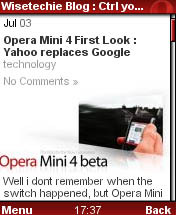 But opera 4 is leaps and bounds ahead, it shows a miniature version of the whole webpage and allows you to zoom around and move across sections. This makes browsing a lot simpler and gives more pleasure. The only con of this is that you will not be able to see large images all at once. This feature allows you to conveniently select which part of the webpage you want to view. I used it on my Nokia N series and it worked like a charm. 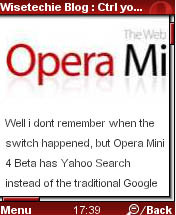 And yes it opens orkut too.